Here's how it works...when you tell a family/friend/co-worker, etc about us and they book an appointment with us, they will fill out a Client file. 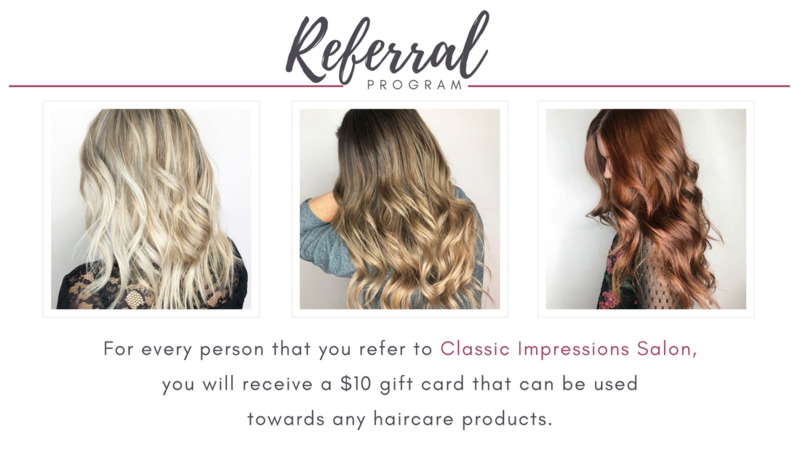 There's a question on there asking how they heard about us, if they fill that in with your name, YOU will be mailed a $10 gift card to use for any of our haircare products! The more you spread the word, the more gift cards you'll be getting which means the more you save on our hair products! !